Inside the Upper Burying Ground (1692) looking SE towards the restored Concord School (1775), which is also on the grounds. 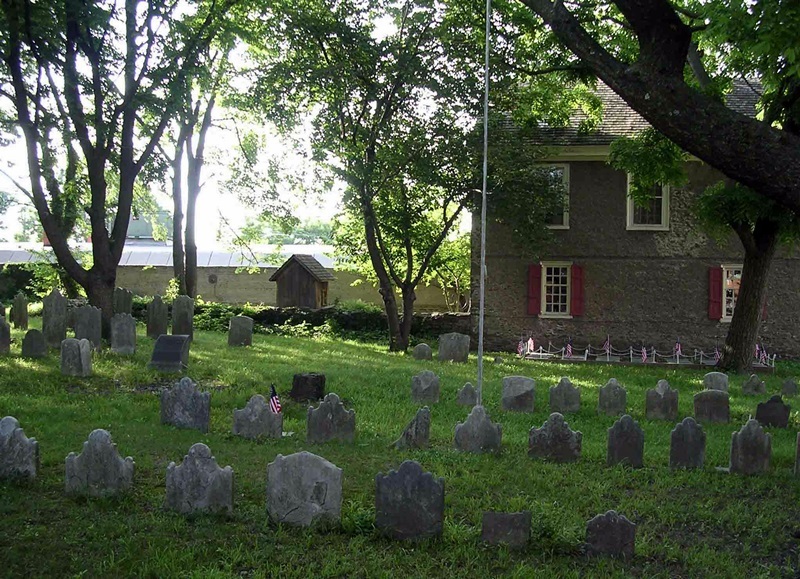 Also known as: Axe's Burial Ground, Concord Burial Grounds. Cemetery Photograph by Craig H. Trout.